The beautiful study made from horn and bone resin. Finished in sterling silver and stamped as such. Mounted on a beautiful highly polished black hardwood shaft, ending in a fixed brass ferrule. 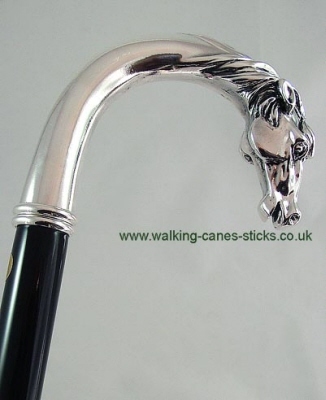 This cane should not be used as an every day support / working or disability aid.